The Pomegranate Series, Episode 8: Mark My Words! Among the very first activities that man indulged into, trade and commerce have undoubtedly been two of the most important ones. Even today, almost every democratic country, in its Constitution, expressly provides to its people the freedom to carry out any (lawful) trade, profession and to contract with any capable person. The reason for such strong protection is because the acts of manufacturing goods and conducting business in it have become an intrinsic part of human nature itself. Furthermore, a human being’s most precious asset is his / her identity. It is this unique identity that sets you apart from every other person who breathes on this planet. The same principle is applicable to man-made products which are often very similar to each other; they crave their own unique identity. So what’s in a name? – Everything. In the previous episode, we discussed about the protection of new inventions. We found that a patent are granted for a new product which inter alia necessarily has some utility attached to it. Basically this is innovation which makes life easier. But apart from functional ones, we are known to derive pleasure also from those inventions which embody something beyond something as rational as utility. The fashion industry, for example, almost entirely strives on innovation as well as creativity. Many among us have a special place in our hearts for branded clothes and accessories. Celebrated brands like Vero Moda and Levi’s handsomely pay their workforce to come up with new designs for their product range every year. Novelty and uniqueness provide the incentive for consumers to buy their product and their rivals to compete more fiercely. These are essentially drawings made on paper (whether physical or on computer software) which, after being applied to some kind of cloth (or dress material), are put up for sale as the final product. Design protection doesn’t end here; it extends to every novel design which has ornamental or visual value of any kind. The interesting aspect is that the cloth by itself has no IP in itself unless the design in the drawing is applied to it. Even though novelty is an indispensible requirement, this effort is not rewarded with patent protection. The reason for this refusal is that these products lack usefulness. We buy and use a t-shirt because we like their shape, the colorful prints, the beautiful embroidery and essentially all the ornamental and decorative features on the garment which appeal only to our eyes. This fusion of patent and copyright is classified as and protected by IP law as an Industrial Design or Design Patent. Every design is starts out as a copyright; because it is always based on an artistic work like the sketch of a coke bottle on paper. Serving as a blue print, the sketch is then applied to plastic by using a mechanical process to arrive at what we call a Coke Bottle. But the law says that any three dimensional object (representation) based on an artistic work will also be protected by copyright law. This is where IP law facilitates the beautiful co-existence of design and copyright. The law says that for the first 50 reproductions of the artistic work, a copyright would be operative; but the moment a 51st bottle manufactured by Coca Cola, it falls under the ambit of design law. Therefore an industrial design is an enhanced form of copyright, but falls short of qualifying as a patent. This is one of the reasons the violation of this IP right is termed as ‘Piracy of Design’ instead of infringement. This form of IP accounts for the a 15-year term of protection for a massive range of manufactured goods such as carving of jewelry, confectionary products, the cuts of your furniture, design of your clothes, in addition to the unique shape and size of your accessories and even your car and that of almost all the Fast Moving Consumer Goods (FMCGs). Since many of these products are used by most of us in everyday life, we sometimes overlook the fact that all registered design have to be novel and previously unpublished (or otherwise in the public domain). Therefore you may realize that the shape or the ‘look’ of even the headlamps of any two car brands is never identical or similar. Therefore the novelty requirement in patents is just as strictly enforced while granting a design. Unlike copyright and trademark, a design (as well as a patent) has to be mandatorily been registered for enjoying IP protection. Along with an Industrial Design, there is another IP which is protected only after being applied to a manufactured product. But the slight difference between them in terms functionality has caused our last Fundamental IP to be the superstar among the business fraternity. Watch the last two episodes of the first season of The Pomegranate Series to meet this blockbuster. Around the time Bahlul Lodi was setting up the Lodi dynasty in India, the Venetians had already begun to grant a 10-year monopoly to their inventors for novel inventions. We’ve come a long way from 15th century Venice, but the deal is still the same. Limited monopoly is granted to an inventor in relation to his / her new invention. The reason why it’s different from copyright protection is because most often, the commercial value of an invention is much more than that of a creative work. A strong patent law is indispensable to foster innovation and to constantly incentivize private companies and governments who invest billions of dollars and hire the best minds to upgrade their technological armada. Being a creation of statute, a patent is a monopoly right granted to an inventor for a new invention by the government of a country. Since IPRs are territorial in nature, a patent granted by the Indian Patent Office (IPO) is only enforceable within the national territorial limits. The monopoly is limited because the object of granting patent is to ensure availability of the specifications of the patented invention in the public domain after the expiry of the term of patent. Therefore a mere idea, which has not been fully disclosed to the IPO in the form of specifications, is not patentable in India (as in most other countries). In addition to the specs, the best mode to create (arrive at) the said invention must also be disclosed. An invention may be an entirely new / better form of such pre-existing invention (state of the art) or it may be a new (more efficient) process of creating such technology; both the new invention as well as the new process, are patentable. The most primary right that a patent confers on the patentee (inventor) is the exclusivity to make, use and sell the invention. Secondarily, the patentee is also given the right to license out his / her invention to any other person so as to earn royalty for it. Not all inventions are protected by patent. Section 3 of the Patents Act, 1970 provides a list of things for which a patent is not granted by the government. The reason for making these exceptions is that an invention must pass the ‘Golden Quadrangle Test’ (no, they don’t really call it that) to be eligible for a patent. On a slightly socialist note, even though inventions are strongly protected by Patent law, it also empowers the government to grant a compulsory license to an aggrieved applicant when (among other reasons) the patentee refuses to license it on Fair, Reasonable and Non-Discriminatory (FRAND) terms. So inventors are not empowered to hoard their technology and obtain a patent without being reasonable towards its competition in the market. Be that as it may, I would still advise you to be FRAND-ly towards the geek fraternity; you might just have to secure a patent for these people! Therefore we now know that people who invest their time and money into creating something useful and functional are fiercely protected by Patent law. But what of those create things which appease only to the eye? Watch the next episode of The Pomegranate Series to find the answer to that question and get a chance to meet the most stylish among all IP. Why should we even care to spend our time and effort protecting Intellectual Property Rights? For any work to be done and for any property to be created, human labour is an indispensable requirement. Only when such labour is applied to an external factor, is there a chance for the creation / procurement of another factor of production. This premise is based on John Locke’s theory of the right to property; which states that property is owned by the person who applies his / her labour to any object (material or otherwise) to create such property in the object. This property may lie in a tangible object like a Dell Vostro laptop, or in an intangible one like the content of this blog-post. The existence and ownership of private property is not only recognized by our fellows in society, but is also fiercely protected by the laws of a country. While interpreting human labour, we often sub-consciously understand it to mean the physical effort applied in works like manual labour and other tasks of which physical utility is the central requirement. However, application of intellectual effort to a sheet of paper also leads to ownership of property in the drawing of a blue-print, just the way an application of physical effort leads to creation of property in an apartment constructed on the basis of that blue-print. 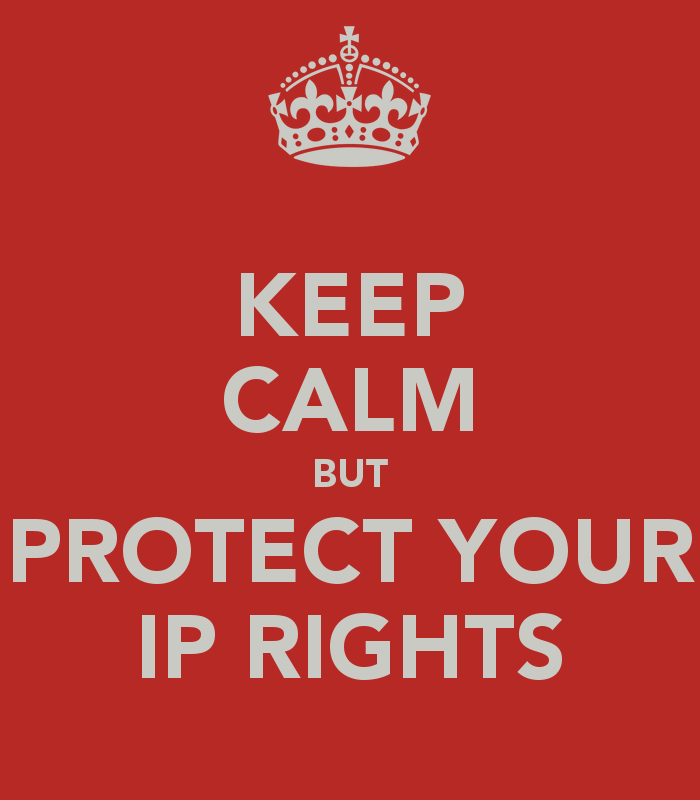 The purpose of IP law is to provide recognition and protection to such laborious intellectual effort.